It’s that special time of the season when the masses join those of us who love to play dress-up all year round. 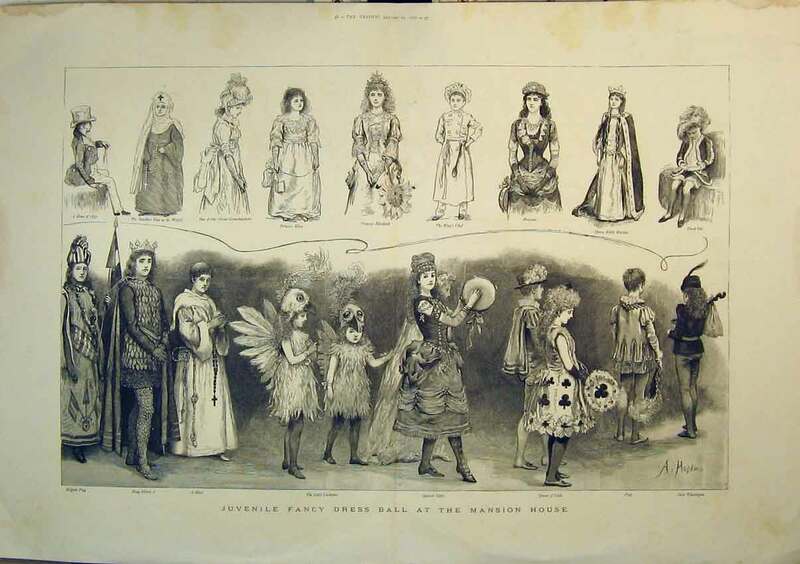 Because the Victorians shared the same fondness for costume, Fancy Dress balls became very popular during the period. By the early 19th century masks, associated with the uncontrollable behavior often a part of masquerades, had fallen out of favor. A new emphasis was placed on costume of an “elevated” nature and masquerades were now Fancy Dress balls. 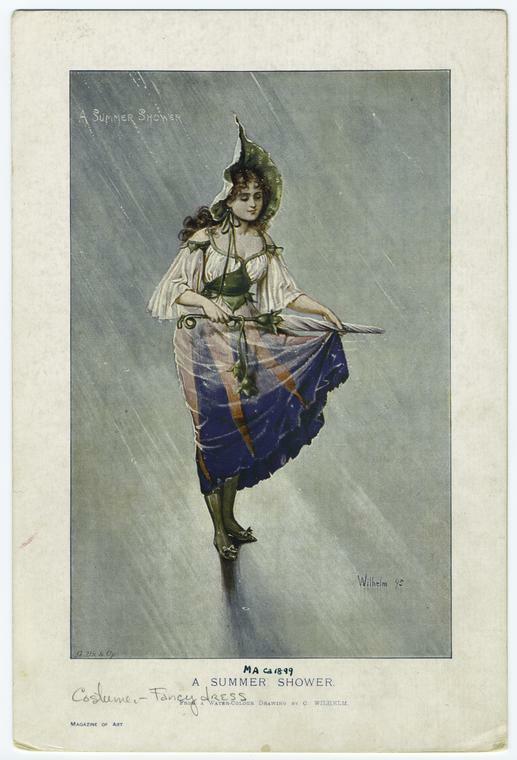 Both public and private fancy dress parties were held for almost any occasion, the opening of a new bridge; a civic holiday; a daughter’s coming out; skating carnivals – Fancy Dress was the theme of choice! Queen Victoria was fond of fancy dress and it was her interest in history that fueled the popularity of historical characters and themes which lasted throughout the century. 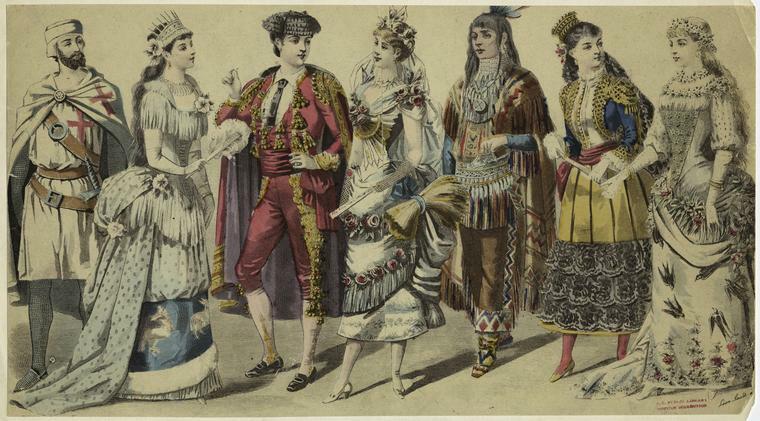 Historic costumes were thought to be in better taste than humorous or exotic ones. 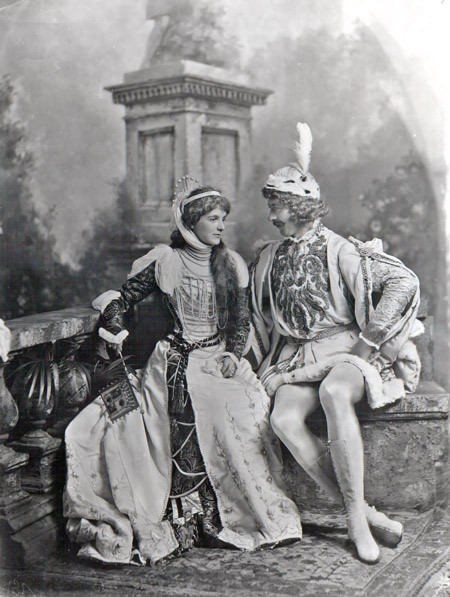 Literary characters were also popular and though the Victorians favored those from the 18th century, costumes from Shakespeare, Dickens, and Tennyson made appearances. 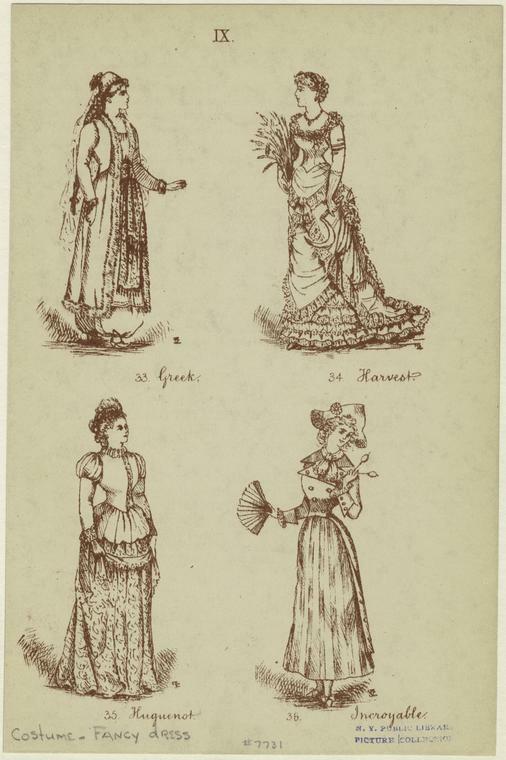 Though historical accuracy was important when depicting historical characters, most fancy dresses followed contemporary styles more than those from the past. 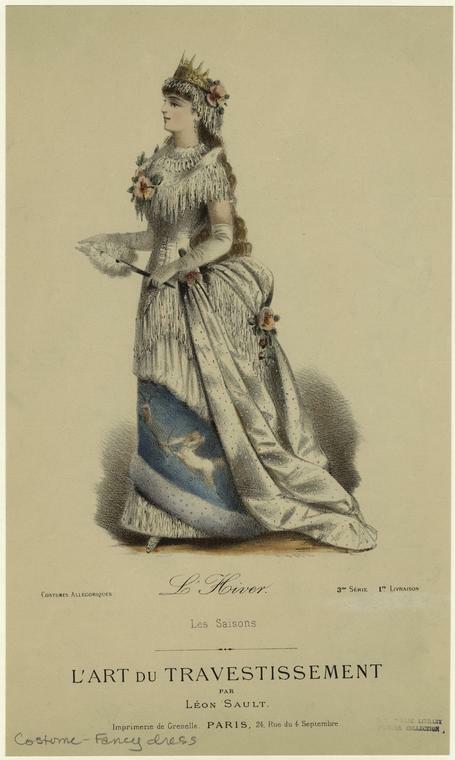 Though some costumes were elaborate and made for specific occasions, many fancy dresses were simply evening gowns adorned with flowers, stars, etc. to create the costume and given an exalted name. For example, the “Night” costume, which was one of the most popular characters (and admittedly a personal favorite of mine), could easily be achieved by decorating a dark blue or black dress with stars and wearing a crescent moon headpiece. Similar popular symbolic characters that may be easily created are Summer, The Last Rose of Summer, Autumn, Harvest, Winter, Snow, and Spring. One of the most popular items of clothing for Fancy Dress was the Italian domino, a voluminous cloak. When fastened, a domino completely covered the wearer to the ankles, hiding whatever might be worn underneath. Men would often choose to wear their regular evening clothes to a Fancy dress party and simply cover them with a domino as a gesture towards fancy dress. Dominos were often hooded and made of silk. The most common colors were red or black for men, white, red, or blue for ladies. Ladies would often have their dominos made to match the costume underneath, although by the mid nineteenth century, the domino started to fall out of favor. 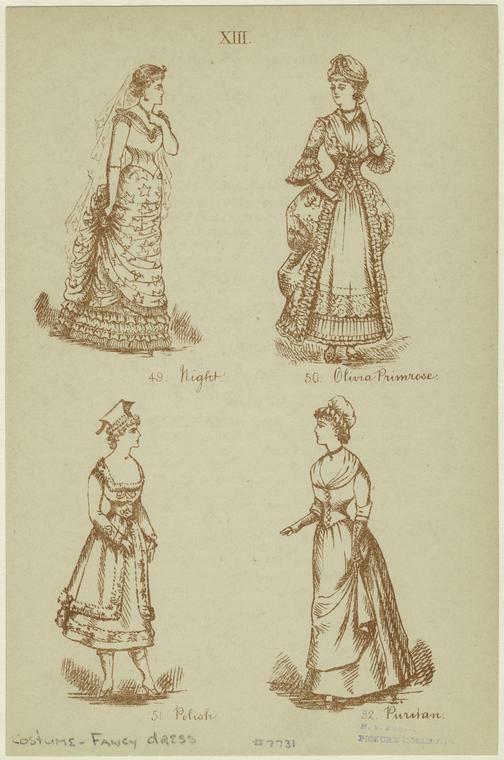 Fancy dress parties were a Victorian favorite and hopefully this article was useful in helping you decide what to wear to your next fancy dress ball.